Twenty-three gymnasts from Denton Gymnastics Academy will be recognized for a total of 69 state, regional, area and national awards at the annual Texas USA Gymnastics banquet on June 28 in Irving, TX. Those honored include Alexis Stokes, who qualified to compete at the USA Junior Olympic National Championships, which were held in May in Jackson, MS. The banquet is held annually by Texas USAG to honor top athletes in the state who participate in women’s artistic gymnastics from levels 3 through 10, as well as Elite level gymnasts. To earn an invitation, level 3 gymnasts must claim a championship title at North State competition and gymnasts in levels 4-10 can qualifiy with a first place, champion title at the State Championships for their levels. Also recognized are athletes qualifiying to represent Texas at Regional Championships for levels 7 and 8 and those earning gold at those meets are also recognized, as are level 9 competitors advancing to or claiming gold at Western Championships. 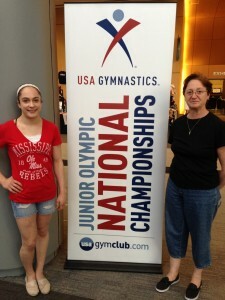 Level 10 athletes who earn the top honor of qualifying to compete at the Junior Olympic National Championships are also recognized. Athletes from gyms across Texas are able to earn recognition at the annual awards banquet, though few ever earn as many honors as the Denton Gymnastics Academy earned for the 2013-2104 season, which wrapped up in May and no other gym DGA’s size earned more awards. “We are very proud of our athletes and their many accomplishments this year,” said Rodica Lazar, Denton Gymnastics head coach. 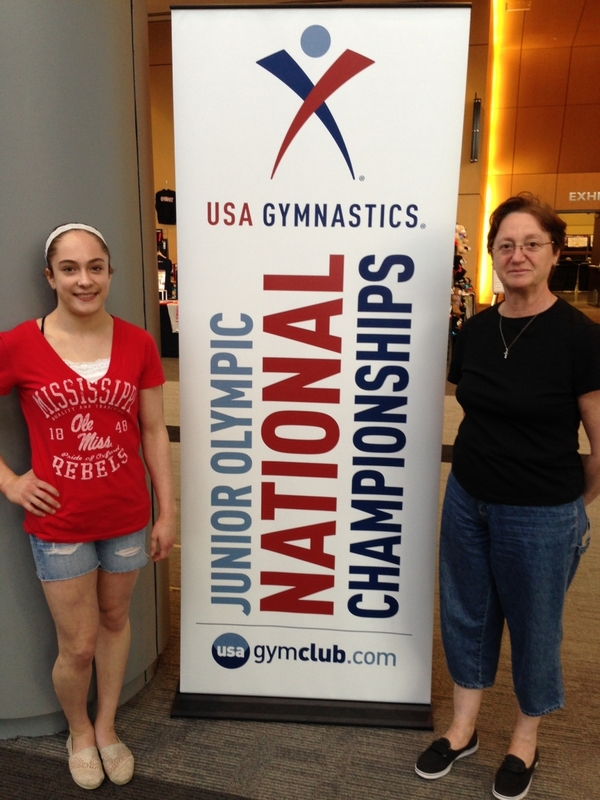 “Having gymnasts succeed from the beginning to the top levels of the Junior Olympic program is especially rewarding.” Success at DGA does extend to to the highest levels of the sport. Days before the banquet, the gym will say goodbye to International Elite gymnast, Abby Milliet, as she leaves for summer training at Auburn University, where she received a full gymnatics scholarship.